▪️ Full spectrum (CBD, CBC, CBN, CBG) CBD Isolate also available which is 100% THC free and guaranteed of any trace. The very highest quality and manufacturing at $20 to $100 less than comparable CBD products in this quality. 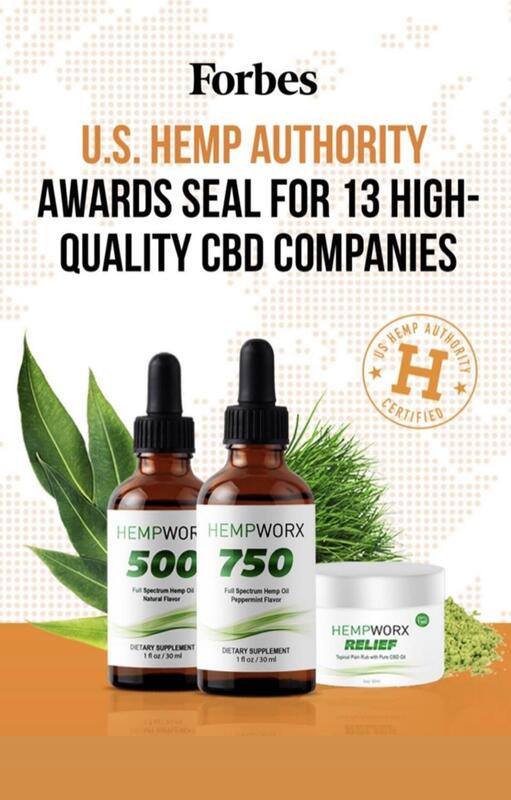 Hempworx was one of 13 high high quality CBD companies that were awarded the U.S Hemp Authority Certificate Seal and was featured on Forbes. ALL PRODUCTS AFFILIATED WITH CBD NATURE WELLNESS ARE PRODUCED IN AN FDA REGISTERED AND INSPECTED, FOOD-GRADE, GMP-COMPLIANT FACILITY AND ARE TESTED BY THIRD PARTIES FOR SAFETY AND QUALITY. CBD Nature Wellness product line of CBD is available locally in Austin, TX and well be exclusive for medical affiliated offices, pharmacies, and veterinarians nation wide.